The Automotive Technology Program is certified by the National Automotive Technicians Education Foundation (NATEF), in the instruction of Maintenance and Light Repair. Under this certification the students will receive entry level instruction in the areas of Engine Performance, Engine Repair, Suspension and Steering, Heating-Ventilation-Air Conditioning (HVAC), Electrical/Electronics, Automatic Transmissions/Transaxles, Standard Transmissions and Drive Axles, and Brake systems. At the conclusion of instruction the students will be required to take the Automotive Service Excellence student level certification exam for Maintenance and Light Repair (MLR). Upon successful completion of this exam the students will receive an industry-recognized credential from NATEF. Students work on a large cross section of automobiles and light trucks. Students normally take English at the Center. Jim Woodward has been at the Stafford Technical Center since the fall of 1996. After serving four years in the United States Air Force, he attended Tom P. Haney Vocational Center in Panama City, Florida where he was trained in Marine Mechanics and Automotive Mechanics. He earned a A.A.S. 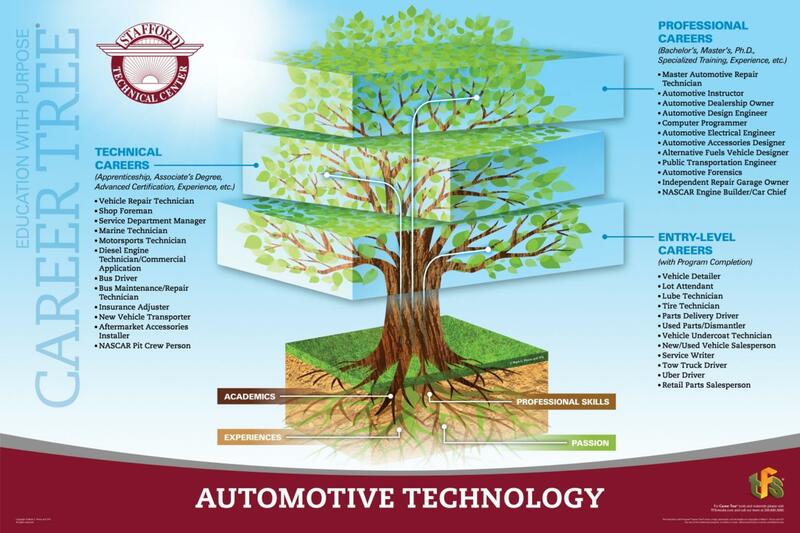 degree in Automotive Technology at Herkimer County Community College, Herkimer, New York. 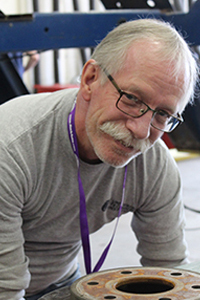 Prior to accepting the teaching position at Stafford Tech, Jim worked as an adjunct instructor of Automotive Technology at Canton College of Technology, Canton, New York. 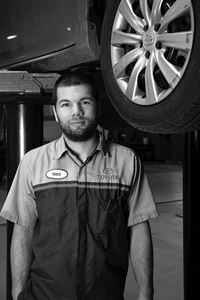 Jim has been an ASE certified Master Technician for the past 20 years. I struggled in a traditional classroom setting due to being a hands on learner. In the program, we competed in a regional design competition. It forced me to work with a team and solve problems. This is a skill that I have carried into my career. Stafford is a great alternative for someone who is a tactile learner. Articulation agreements with University of Northwestern Ohio, Lakes Region Community College, and Universal Technical Institute. NATEF Certification, S/P2 – Safety & Pollution Prevention certificate, Snap-on Tools Meter Certification 504, American Heart Association HeartSaver® First Aid/CPR with AED Students completing 90% of the Core Competencies will receive a certificate from Stafford Technical Center. *Average Salaries taken from the Department of Labor (dol.gov), Payscale (payscale.com), Glassdoor (glassdoor.com), and Chron (chron.com).